Thick Traditional Sterling Silver Chai Pendant. 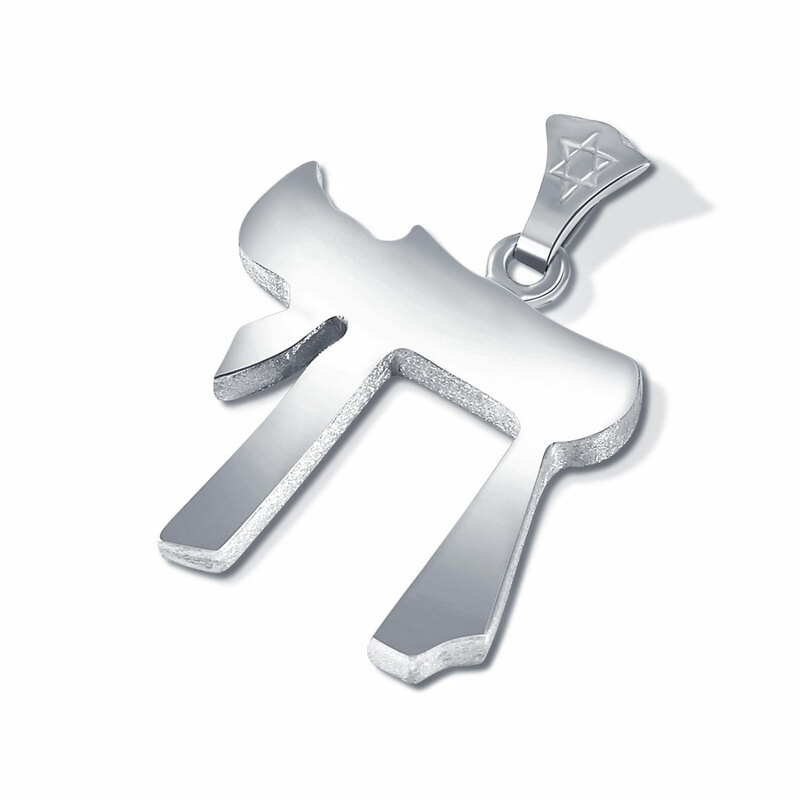 Soild Large Plain Jewish Life Pendant. A large sterling silver Chai Pendant. A true classic and traditional Chai. This stunningly simple Chai is an all time best selling pendant. Suits Men and Women alike, large, bold and charming. With this Silver Chai you get an impressive thick pendant with a high polished finish, topped off with a very pretty bail. The Hebrew meaning of Chai is life, the cornerstone of Jewish life and belief. When you wear this Pendant out in the open, anyone facing you will feel you wishing them a good prosperous and healthy life.